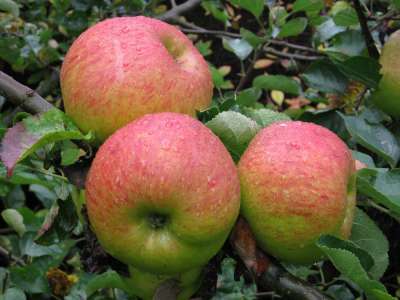 Raised from a cross between Cox's and Bramley, hence the name. A good new dual purpose apple for the garden. It's large and handsome fruits can suit dessert use later on in it's season and are perect for those who prefer atangy, slightly sharp apple. For cooking the fruits are suited to all purposes and need little or no sugar. Season - November to January, sometimes longer. Kent raised, 2007. Highly recommended. For full crops pollinate with any two mid season varieties such as Red Falstaff, Saturn, James Grieve, Fiesta, Rajka, Redsleeves, Kidds Orange Red, Howgate Wonder, Bountiful etc.